Men seeking vasectomy reversals are all after the same, life-changing experience: becoming a dad. No matter how sure you are of your decision to enter fatherhood, you’re bound to wonder about the some of the profound changes that inevitably accompany having a child. Once your partner conceives after your vasectomy reversal, what can you expect when your little one enters the world? Here is a look at some of the things new dads report about their new lives. Everyone needs a little downtime in his or her days. Before you have kids, it’s easy to grab 30 minutes here and there for working out, seeing friends, or just relaxing. Babies are demanding, and that makes it a little harder to fit in time for you. Work with your partner to give each other breaks. Taking some time for yourself doesn’t make you selfish. Instead, it will help you become a better dad . Before you have a child, your social life may revolve around a circle of friends. After your baby is born, social time is more likely to mean outings with the family. While you’ll love spending time with your growing family, don’t forget to keep in touch with your friends and to continue to develop your interests and hobbies. Encourage your partner to do the same. Kids have a lot of financial needs, from diapers and formula to college tuition. It may seem like you could never make enough money to cover them all, but relax. Look around at all of the families with kids who make it. You can too. Spend some time with your partner mapping out a budget. It will make you feel more in control and give you an idea of how your money can best be put to use. Being a dad will change your life, and undergoing a vasectomy reversal can help you begin this new journey. 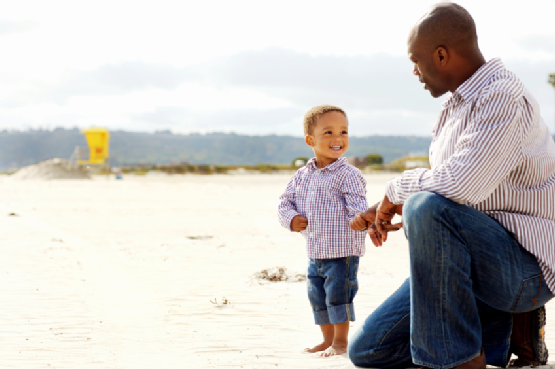 If you dream of fatherhood, let the Center for Vasectomy Reversal help you achieve that goal. Schedule a consultation today by calling (941) 961-4581 to find out more .